CUSTOM PACK: Complete and redy for use set for the preparation of the sterile set. Excellent solkution against possible infection and contaminations and subsequent reduction of patient disconfort. 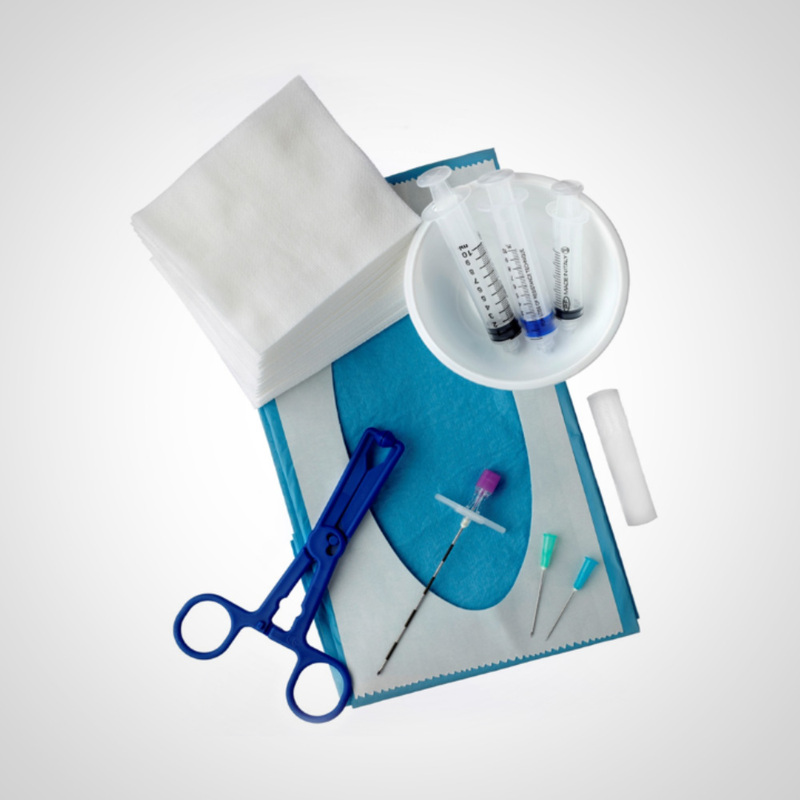 Maximum sterility assurance and traceability of all necessary components in one kit. The set could be custom made according to specific needs.